Station Garage is situated in Andover, Hampshire, a family business running for over 40 years. We offer a professional service at honest prices and understand that having problems with your car can be stressful. We are here to make things as easy as possible. Situated within a 1 minute walk away from Andover train station, a bus route and taxi rank are also down the road. We use the latest diagnostic Equipment and software, making us fully equipped to take care of your vehicle. We pride ourselves on putting the customer first, you can trust that we will not spring any hidden costs on you and that we are clear and upfront with any issues that may arise. This is proven from our loyal customer base who have been returning to Station Garage for over 40 years! 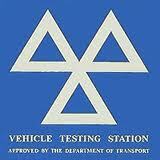 Station Garage carries out MOT tests at competitive prices. If you need an MOT and live in Andover or the surrounding areas, our professional staff will be able to carry out your test and we aim to get you back in your car within 45 minutes. If your vehicle needs any extra work carried out, our honest mechanics will advise and fix your vehicle ready for a retest. We guarantee to retest your vehicle for FREE! within 10 working days. Ring us to book your MOT today! At Station Garage we carry out various services to your vehicle to meet your requirements, making certain that your motor is kept in tip top condition. There are a million reasons to service your vehicle, a few important ones are: it will save you money in the long run, problems can be detected earlier and the life of your vehicle will be increased. We are also here to help get your vehicle back on the road should you breakdown. We will keep you updated and give you an honest assessment of your repair costs along the way. We have been repairing vehicles for over 40 years, therefore your problem is not a big problem for us. There’s not much we haven’t seen!